We don’t just make doors. We build security. We enhance beauty. We improve facilities. Raynor garage doors and installation services for your home. 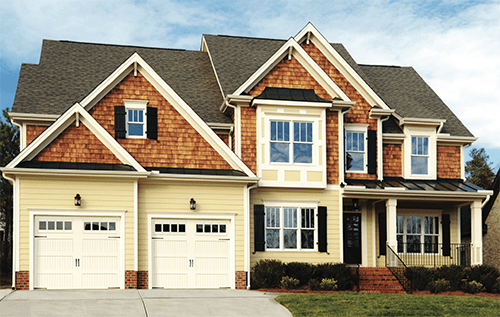 Whether you’re replacing your current garage door or building a new garage, Raynor Door Authority has the knowledge and expertise to help you choose the right door. We offer a wide line of residential garage doors, including traditional steel garage doors, wood garage doors and carriage-style garage doors. And every Raynor door is installed by our certified technicians. Raynor garage door openers are the perfect match for our doors. 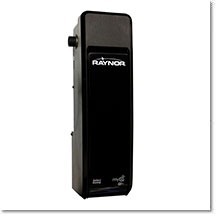 Raynor garage door openers deliver performance, features and durability. All our models offer the ultimate in safety and security features and are available in a variety of horsepower levels, drive systems, mounted jackshaft operators and battery backup systems. Monitor and control your garage door opener securely with your smartphone, tablet or computer with MyQ™ technology. Storm doors by Raynor protect and make your home more comfortable. Raynor’s energy-efficient storm doors protect your home by keeping the elements out and keeping comfort in. Our professional-class storm doors are made with 20% thicker aluminum than what’s found in consumer-grade storm doors sold by home improvement retailers. 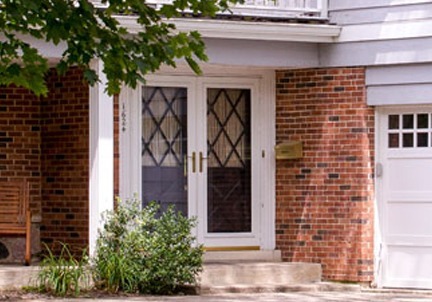 We also offer custom-made storm doors to ensure the perfect fit for your unique entryway. 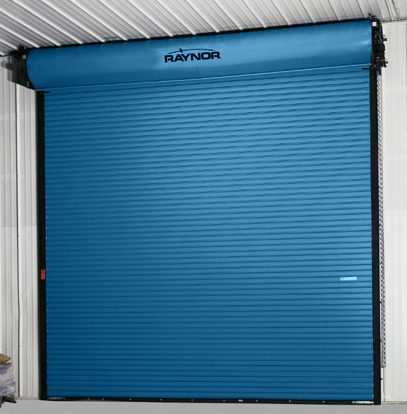 Raynor Door Authority offers a comprehensive selection of garage doors and automatic operator systems for commercial, industrial, agricultural and loading dock door applications. Our experienced staff will provide consultation and an on-site door survey to help you make the right decision for your door needs. Safety and performance is our goal. 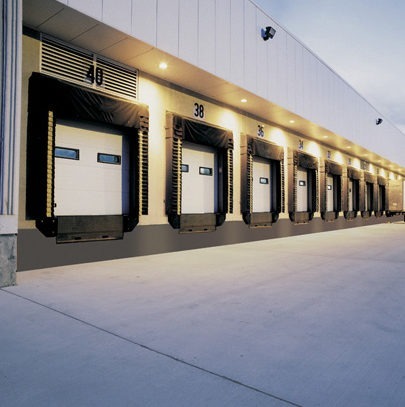 Available in a variety of slat types and materials, our complete line of commercial roll-up doors and counter shutters are made to last and perform in the most demanding industrial environments. 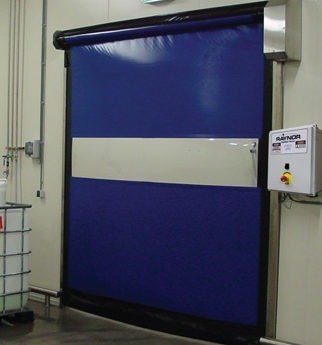 Raynor RapidCoil fabric high-speed doors are designed to seal tightly and open as fast as eight feet per second. This energy-efficient combination of tight seal and high-speed operation is designed to decrease operating costs in manufacturing environments. FOR OVER 30 YEARS, RAYNOR DOOR AUTHORITY HAS TAKEN PRIDE IN SERVING COMMUNITIES ACROSS NORTH AMERICA. Our accessible customer service, investment in technology, centralized operating platform and direct access to quality Raynor products set us apart from other dealers. Learn more about our history and relationship with Raynor.